This cream cheese frosting has a tangy and sweet flavor that pairs well with your favorite cakes. 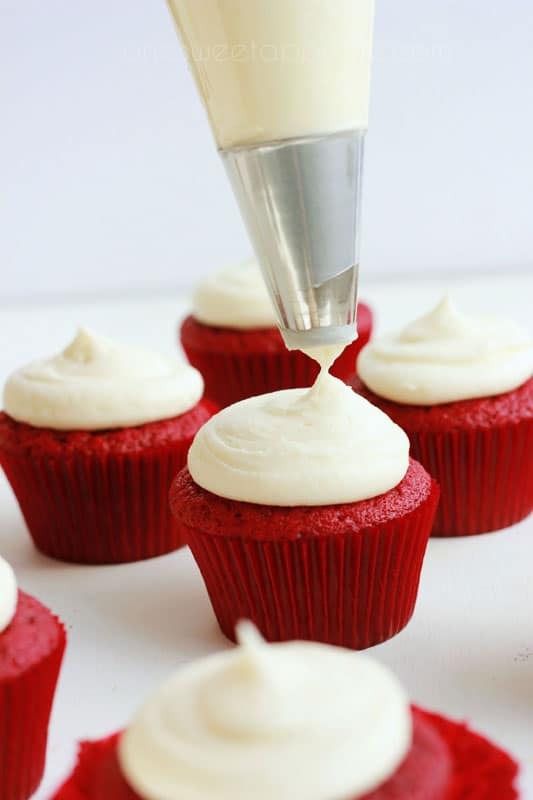 Cream Cheese Frosting is the perfect addition to your favorite cake recipe. 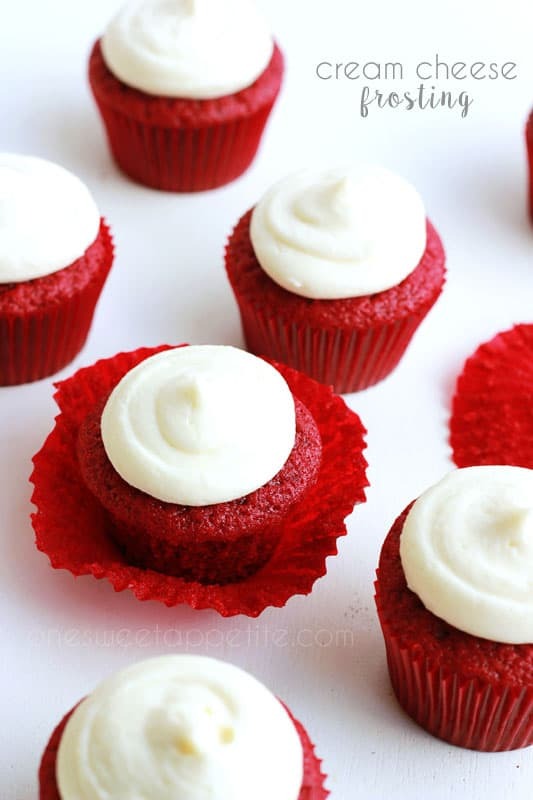 Monday I shared an amazing red velvet cupcake recipe. It is by far my most requested dessert (though I don’t know why since I am not a huge fan) but what really sends the flavor over the edge is a sweet cream cheese frosting. The sweet yet slightly tangy frosting has the perfect balance of sugar, cream cheese, and butter! Here are a few quick secrets… First, you want the cream cheese to be room temperature. The softer you can get it the easier it is to whip into a soft cream like texture and less lumps in the very end. Don’t skimp on the cream cheese either. You want a good quality otherwise you are going to sacrifice in the flavor department. You also want to grab a good quality butter. No margarine! Once you have got your ingredients together you are going to get mixing! 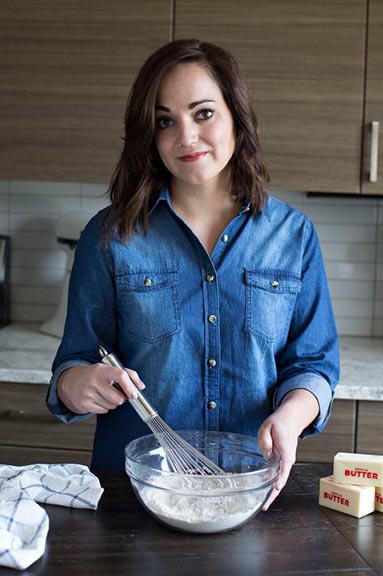 Use an electric mixer and make sure that the first two ingredients (the butter and the cream cheese) are fully combined. Stir in the powdered sugar, a little at a time, followed by a dash of vanilla. And just like that you’ve got a smooth, creamy, and delicious frosting ready to top your favorite cake! Besides the red velvet we love to use this on top of Carrot Cake, in between oatmeal cream pies, or even on your favorite sugar cookie! 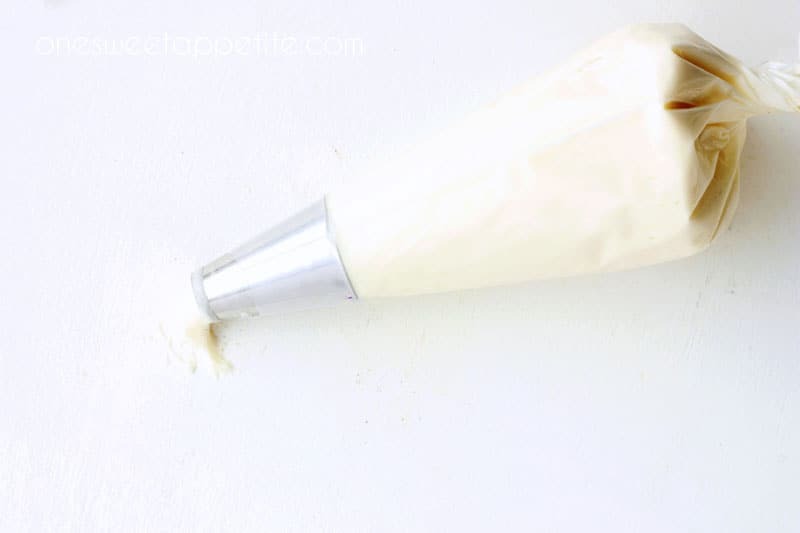 Combine the cream cheese and frosting in the bowl of an electric mixer. Whip until fully combined and smooth. About have many cups does this frosting make? Thank you!